Copper's performance can be expanded to suit many industrial applications. This is atchieved by alloying: making a solid material out of two or more different metals. 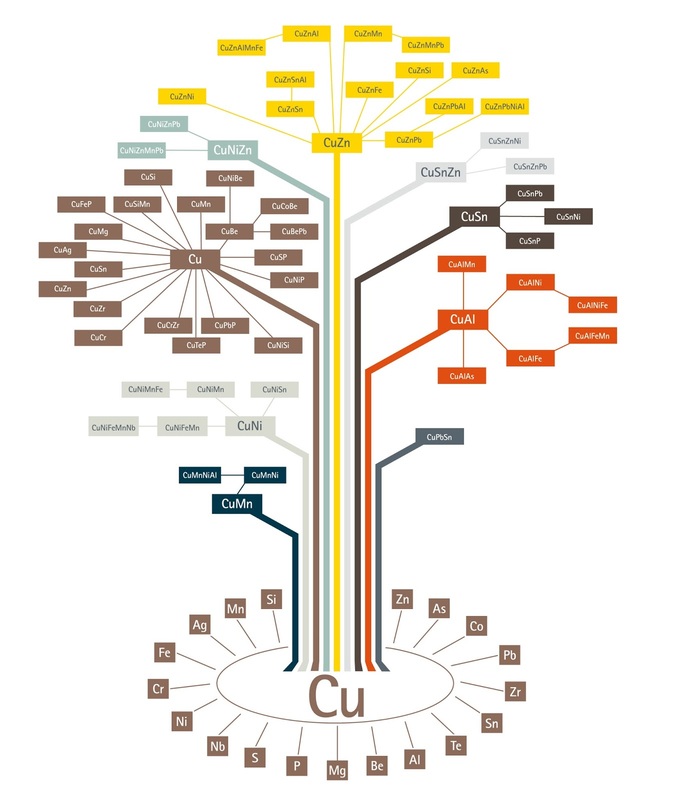 By combining copper with other metals, alloys can be made to fit almost any application. The two alloys can be divided into two principal classes: Brasses and bronzes. The brasses are primarily alloys of copper and zinc, and bronzes are of copper and tin, but there are numerous modifications of them produced by the addition of smaller amounts of other elements.